The Missile Defense Review is a sweeping examination of efforts to shield the United States from enemy missiles. It highlights concerns about advancing capabilities by North Korea, Iran, Russia and China. President Donald Trump unveiled a revamped U.S. missile defense strategy on Thursday that singles out North Korea as an ongoing and "extraordinary threat," seven months after he declared the threat posed by Pyongyang had been eliminated. "Our goal is simple: To ensure we can detect and destroy any missile launched against the United States - anywhere, anytime, anyplace," Trump said as he unveiled the report. Trump did not mention the North Korean missile threat in his remarks at the Pentagon. But acting US Defense Secretary Patrick Shanahan said North Korea's missiles remain a "significant concern." For Trump, who is trying to revive efforts to persuade North Korea to abandon its nuclear arsenal, the report's release came at an awkward moment. A senior North Korean envoy was headed for Washington on Thursday for expected talks with Secretary of State Mike Pompeo and a possible encounter with Trump, a person familiar with the matter said. Their talks, as well as a potential meeting with the president, could lead to an announcement of plans for a second US-North Korea summit, the source told Reuters. The Missile Defense Review recommended studying experimental technologies, including prospects for space-based weaponry that might be able to shoot down enemy missiles, a throwback to Ronald Reagan's "Star Wars" initiative in the 1980s. "We will protect the American people from all types of missile attacks," Trump said. "In the past, the United States lacked a comprehensive strategy for missile defense that extended beyond ballistic missiles. Under our plan, that will change. The U.S. will now adjust its posture to also defend against any missile strikes including cruise and hypersonic missiles." "We are committed to establishing a missile-defense program that can shield every city in the United States. And we will never negotiate away our right to do this," Trump added. Trump at one point singled out Iran's capabilities. The report said Iran possesses the largest ballistic missile force in the Middle East. 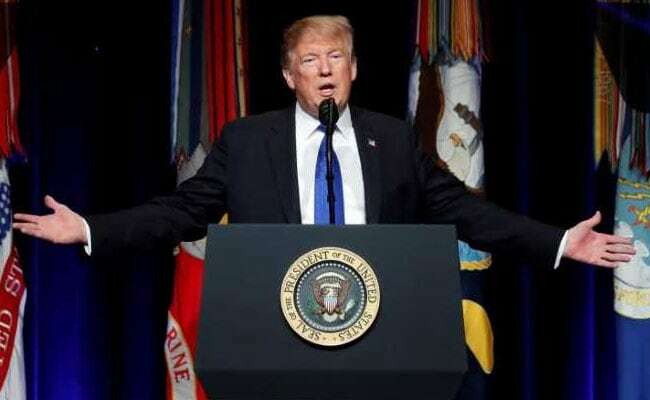 Trump said the United States would not impose any limitations on US development of missiles defenses against "any America target - whether before or after launch." The new US investments come on top of previously announced US plans to increase the number of ground-based interceptors over the next several years, hiking the number positioned at Fort Greely, Alaska to 64 from 44. US military officials have said US missile defenses are primarily designed to counter attacks from countries with more limited arsenals, like North Korea, which US intelligence officials believe is still advancing its nuclear program despite a halt to missile launches last year. Pentagon officials contend that US missiles defenses are too few to be able to counter a first-strike on the US homeland by a major nuclear power like Russia or China. Washington hopes those countries will instead be deterred from attacks by America's nuclear arsenal. The report underscored that point, saying: "The United States relies on deterrence to protect against large and technically sophisticated Russian and Chinese intercontinental ballistic missile threats to the US homeland." China has also alarmed the Pentagon with advances in super-fast "hypersonic" technology that could allow Beijing to field missiles that are far harder to detect. In a report earlier this week that singled out the hypersonic threat, the Pentagon said China's military was "on the verge of fielding some of the most modern weapon systems in the world." US officials, including Undersecretary of Defense for Research and Engineering Michael Griffin, believe a space-based sensor layer will help detect missiles moving at hypersonic speeds.